Since moving to Texas I've been dealt an awful lot of Texan pride. I was born here but I moved to Oklahoma when I was young so I only saw said Texas pride from a distance. 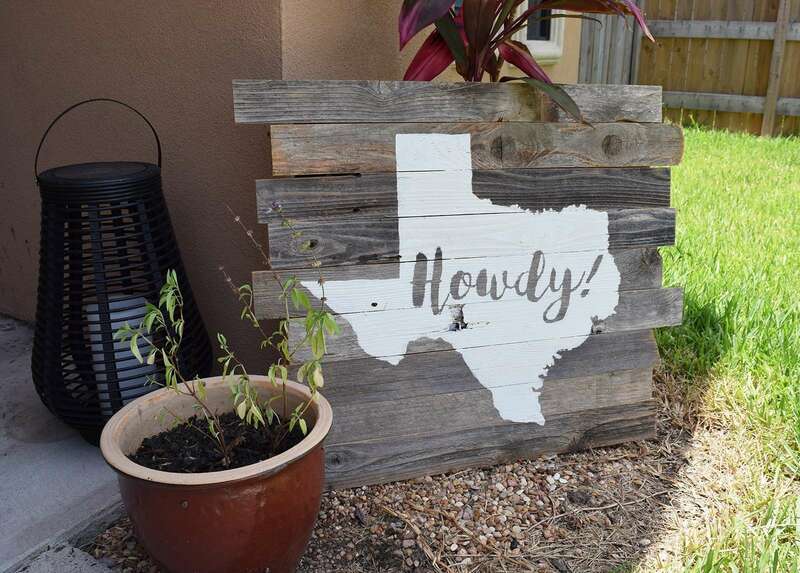 Perhaps I should capitalize that... Texas Pride :) So when I was trying to figure out what I wanted my new pallet sign to say when I snagged some awesome reclaimed wood, it seemed only natural that I'd embrace that Texas spirit and plonk it right on down next to my front door. 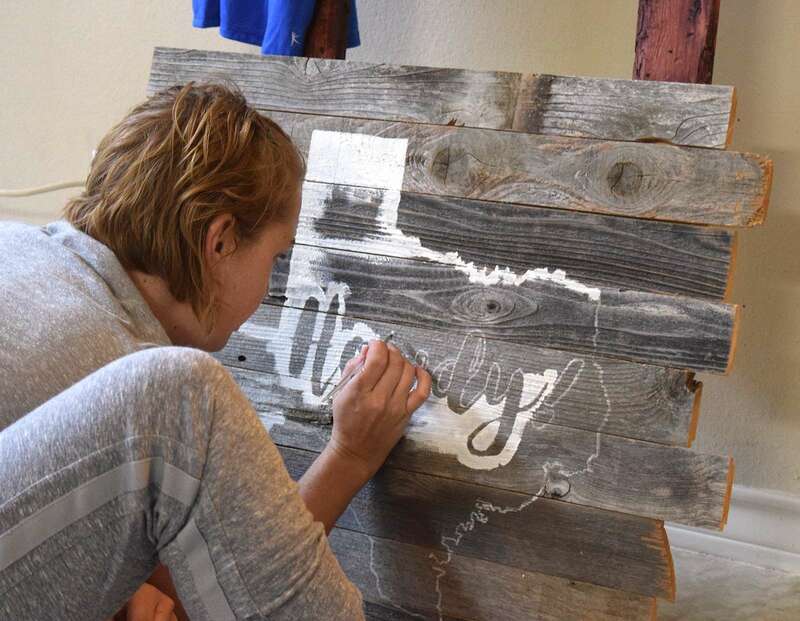 No matter what you want your pallet wood art to say, this is a super easy project that any skill level can execute well! 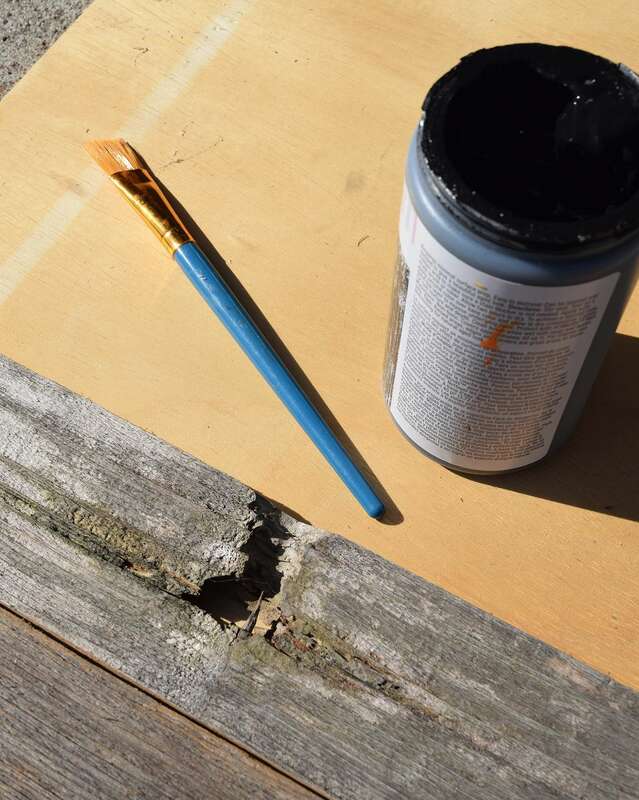 Gather your reclaimed wood and place it how you'd like to to be to form the canvas for your art. 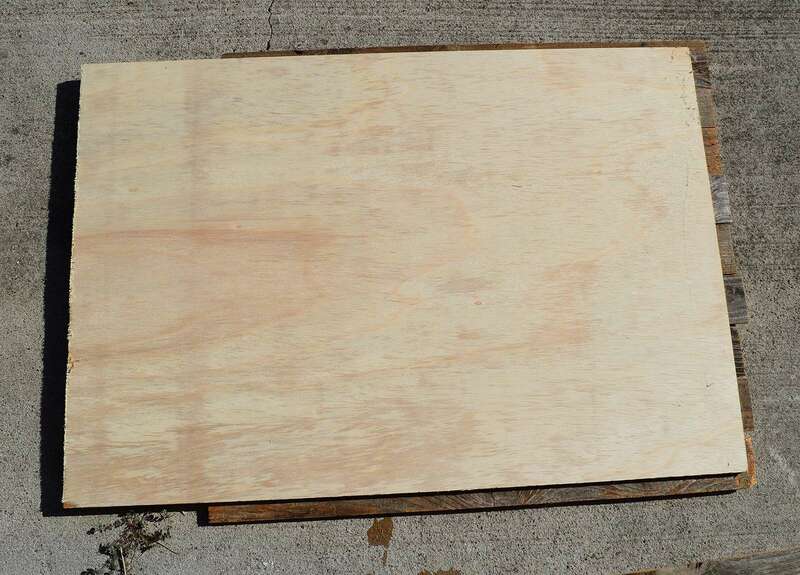 If you can find scrap plywood this project is turning out to be quite inexpensive! I have had good luck asking at local lumberyards if they have any scrap pieces and so I often get pieces like this for free! 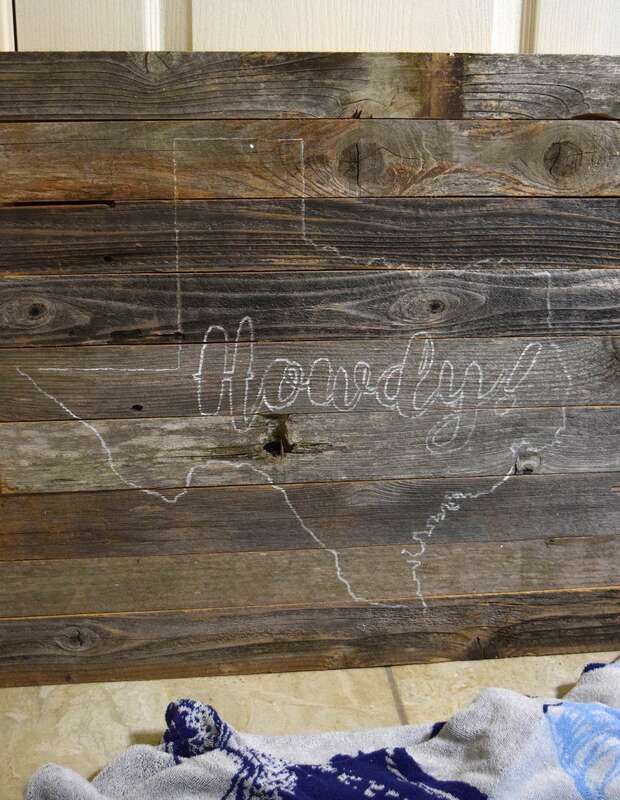 Place your plywood on top of your reclaimed wood. Mark your piece so that it is 1-3 inches shorter on all sides than the pieces of wood placed together below. Using a circular saw cut the piece out. 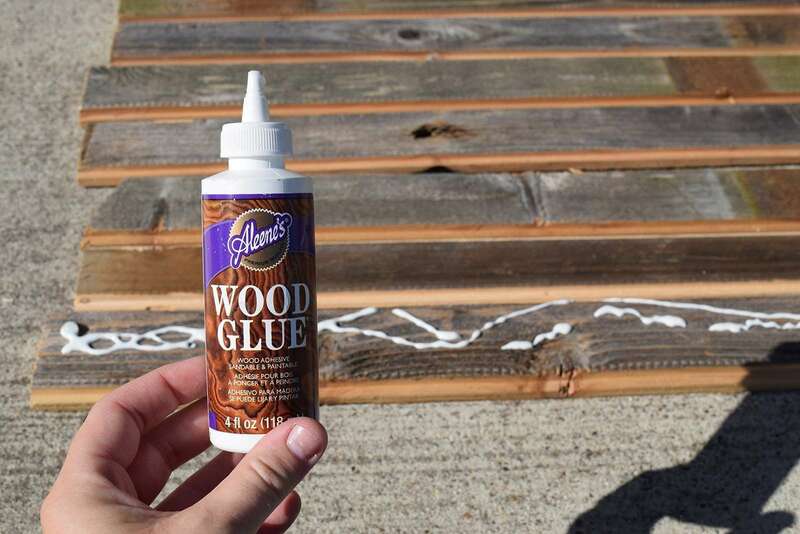 Bring out the Aleene's Wood Glue and apply a healthy amount onto the back of the first piece either at the top or the bottom. 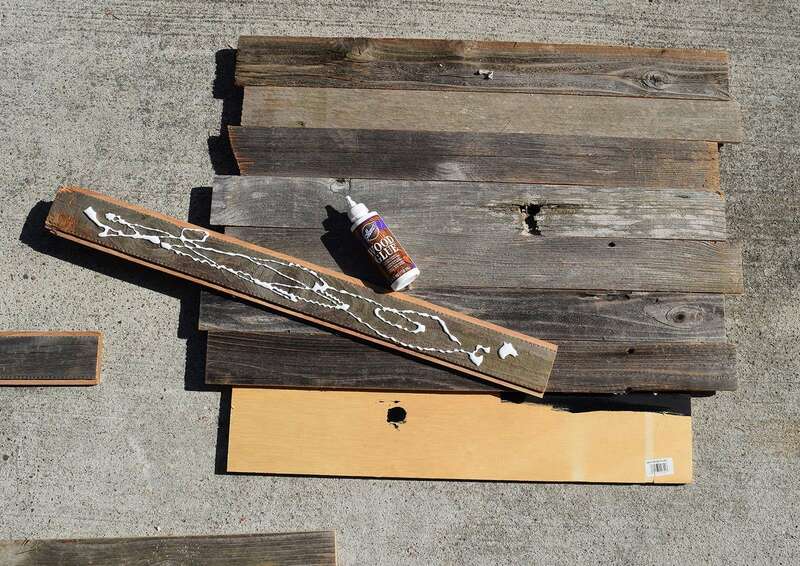 Remember to apply glue to the back side of your reclaimed wood pieces. 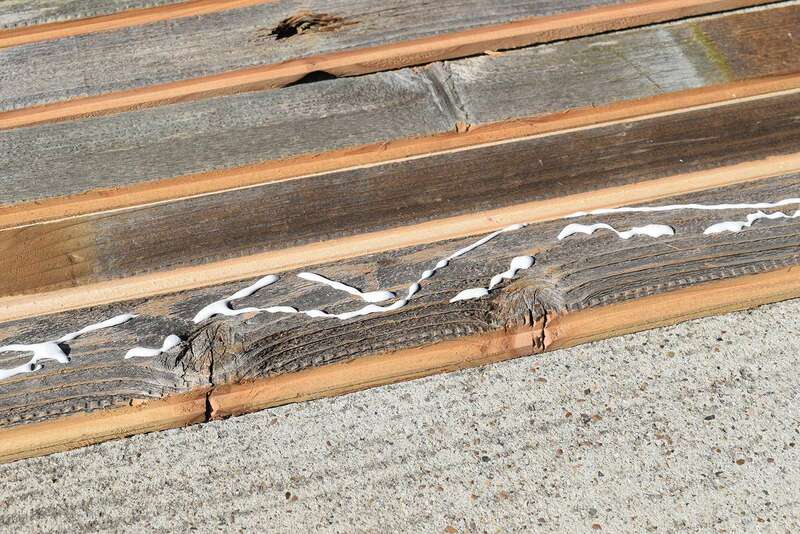 sIf your pieces feather any interesting knots, holes or areas where the plywood below would show through brush on a quick daub of black or another color to make the backing wood less visible. This also works in the cracks where the pieces might not meet up perfectly. There's no need to wait for the paint to dry, just keep gluing your pieces down as you go. When fully covered, allow your piece to dry at least 24 hours. Now I decided I wanted the word "Howdy!" 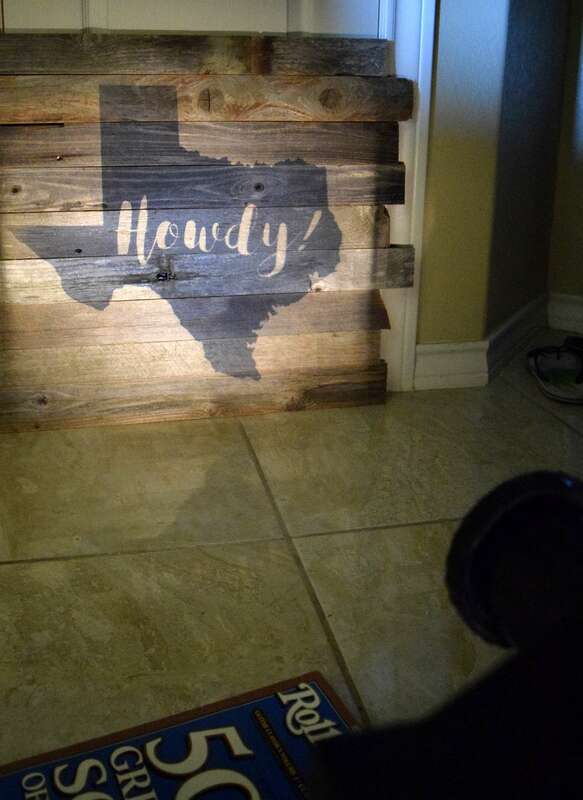 inside of the state of Texas for my pallet art. To do this I just took an image of the state and then put the word on top of it in a photo editing program on my computer. 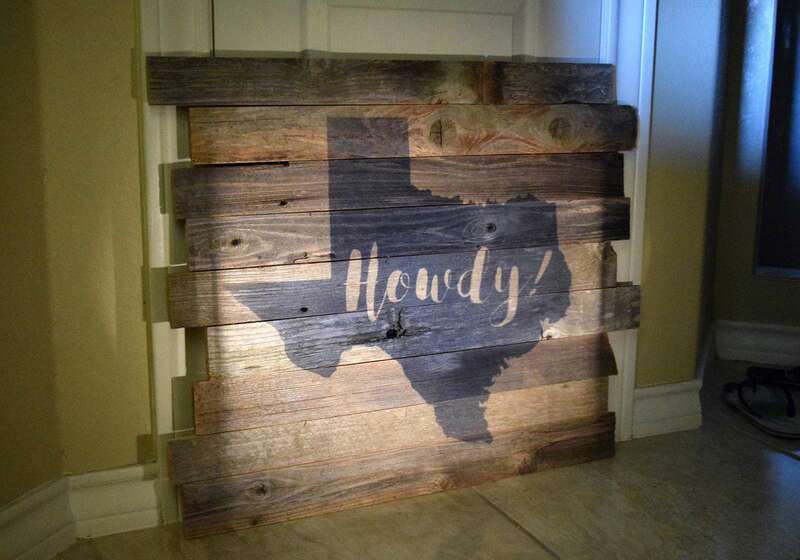 Place your pallet on a wall in a mostly dark room. Bathrooms work really well if there are no windows. Using the projector beam your image onto the pallet and trace with a marker. I used a white oil paint marker to match with the white chalk paint I'd be using in just a bit. Don't have a projector?  You can buy a very basic one for around $25 with a 40% off discount coupon at craft stores or you can very often borrow one from the library for free if you are a current library card holder in good standing. There isn't much better than free! Using a marker, pen or pencil trace your shape onto your pallet. Now some wood that is very rough might be more difficult to draw on so be patient. Using chalk paint and a brush you can then fill in the spaces on your pallet to complete the design. I used fabric paintbrushes as the stiff nature helped me out tons making smoother lines on the very bumpy surface of my pallet. Howdy! 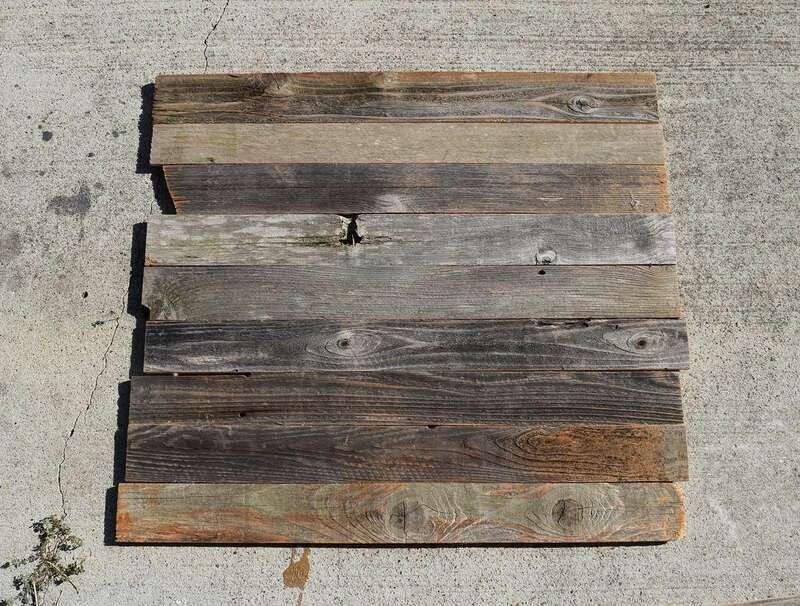 My DIY reclaimed wood pallet art has only been up about a day but I've already gotten one thumb's up by a neighbor. It seems you can't go wrong when you embrace state pride, even if it is a new to you locale!